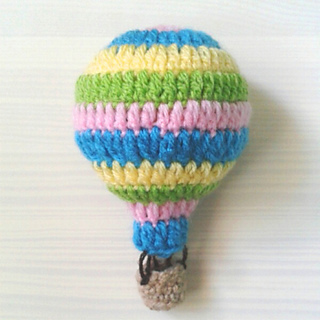 Small amounts of yarn in four bright colors for balloon and two types of brown for basket and strings are needed. Have fun crocheting! I would love to see your results!